This is an outstanding Proof example with exceptional cameo contrast. 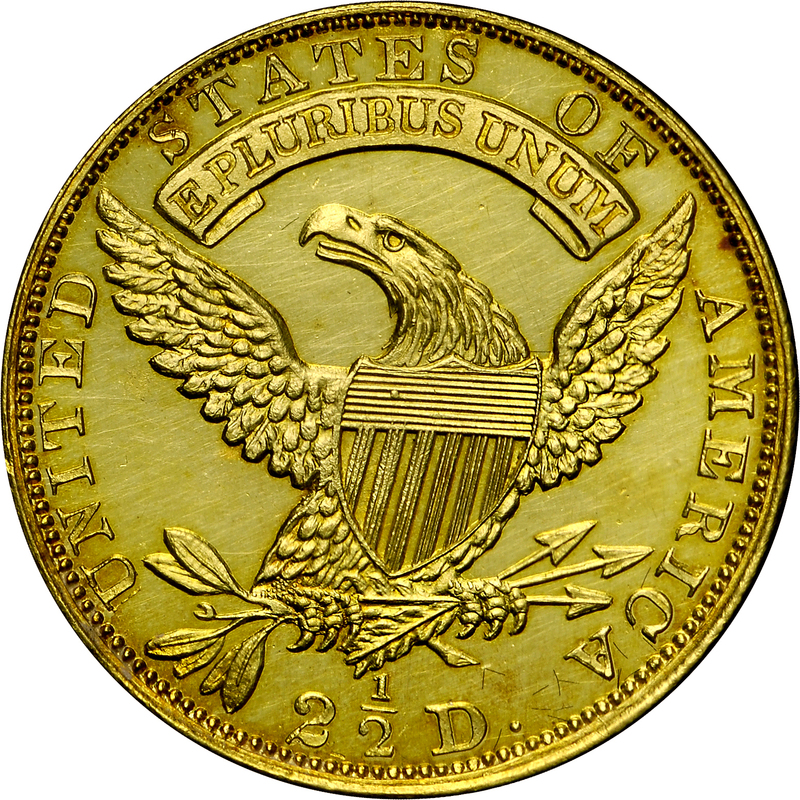 The quarter eagle coinage dated 1833 consisted of 4,160 circulation strikes and a small, unknown quantity of Proofs. Of the latter, just four or five are known today, including one in the Smithsonian Institution. During the early 1830s, total mintages hovered just over 4,000 coins per year, with few actually remaining in circulation. Typical grades of survivors are Extremely Fine or Almost Uncirculated, most with minor surface marks or other impairments. 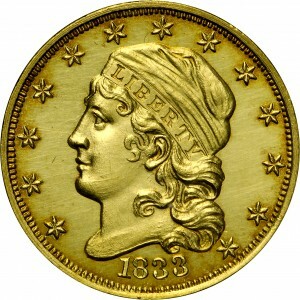 Those that did enter circulation were almost immediately hoarded as being worth more in gold than their face value. Purchased from Stanley Kesselman, November 8, 1978.